A. Teaching Posts: Assistant Professor/ Associate Professor/ Professor. Retired Professor/Associate Professor upto the age of 63 years may also apply for the posts of Professor. Essential Qualifications: B.Com., PGDCA and Competent in use of TALLY. 1. Application form: Prescribe application form may be downloaded from the University website i.e., www.mssv.co.in. 2. Application Fees and Last Date: Candidate will required an amount of Rs. 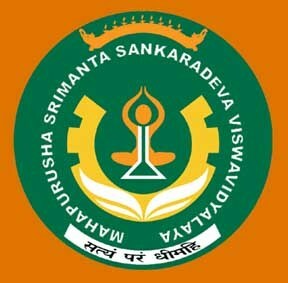 (Rupees one thousand) only for non-teaching post by demand draft in favour of “REGISTRAR, MAHAPURUSHA SRIMANTA SANKARADEVA VISWAVIDYALAYA” payable at “Nagaon Main Branch (0146)” or Cash at Accounts Branch of the University as an application fees for the post. 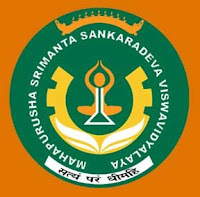 Completed application in prescribed form along with necessary enclosures must reach “REGISTRAR, MAHAPURUSHA SRIMANTA Sankaradeva Viswavidyalaya, H.B. Path, Kolongpar, Nagaon – 782001” on latest by 22nd January, 2018.